Unger Brothers American Art Nouveau 'Bacchus' Posey Holder. This is a rare and early 20th Century American Art Nouveau single flower stem holder made by Unger Brothers of Newark, NJ (1872-1910/1919). 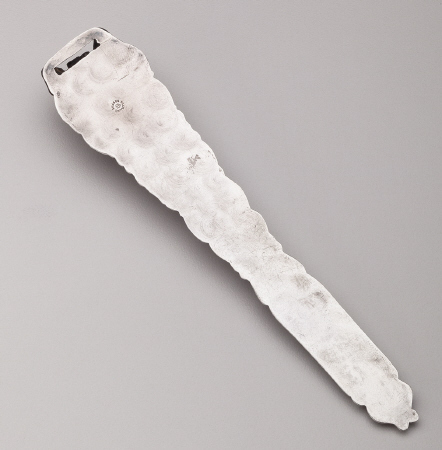 This sterling silver item was made to hold a single stem and was mounted on the dash board of the car. This flower holds features a relief of the Greek god Bacchus. This item measures 5.75 inches long. 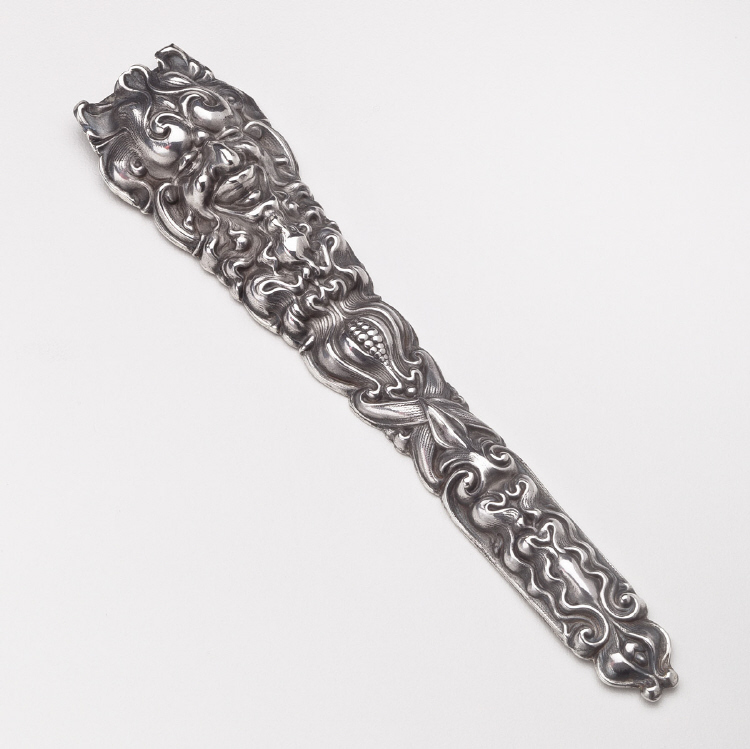 This piece impressed marks for Unger Brothers, Sterling, 925. This posey holder is in excellent condition.